One of Latvia's leading construction companies, AS BMGS, is preparing to sue the Scandinavian construction giant Veidekke Entreprenad AB (subsidiary f the Veidekke company in Norway) to recover a substantial sum of money for work that was done in Sweden. The issued bills have not been paid for more than a year, AS BMGS CEO Svetlana Afanasjeva informed BC. The dispute began in August 2017, when Veidekke refused to pay bills presented by the Latvian company for work that had been done, thus violating the payment schedule that had been confirmed. 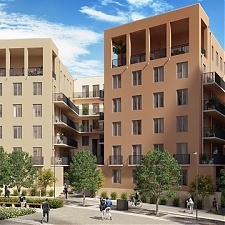 The contract between BMGS and Veidekke Entreprenad AB was concluded in 2016 on building of two residential complexes in Sweden -- Svea Symfoni and Svea Serenad. BMGS has proposed l pre-trial process that would involve a panel that determines the value of the building, with independent experts evaluating the work that was done so as to determine the sum of money that Veidekke Entreprenad AB owes to the Latvian company. The sum might amount to several million euros. After receiving the evaluation, the company will go to court to attempt to recover the money. BMGS has continued to grow in the domestic market and foreign markets, and this incident does not affect the company's operations to any great degree. "We respect the Scandinavian company and our business relationships, and we have tried for more than a year to settle this issue without going to court," says the company's CEO, Svetlana Afanasjeva. "Our company suspects that the managers of the Swedish company are misusing the advantages of a general contractor, deciding to stop payments at a time when a large part of the work that was based on the contract had already been done. It is no coincidence that the payments stopped when there was upheaval in Sweden's real estate market which may have harmed the business indicators of Veidekke. The real estate market in Sweden is a ticking bomb, because developers are using communal associations which may face lending obligations. This, in turn, may cause risks if not all of the flats in the buildings are sold and the developer thus cannot repay its loans. That means that the debts basically rest on the shoulders of those who purchase the flats. Afanasjeva continues: "The situation has escalated to the point where we see no option other than to go to court to collect the unpaid sum of money unless Veidekke proves to be ready to reach agreement outside of the court. That would be a solution that would allow both parties to save time and money." "Our work and products are very much in demand in Scandinavia, and we have a great deal of respect when it comes to partnerships with our foreign partners," Afanasjeva explains. "We are sure that this precedent cannot be generalised as a 'Scandinavian business style," because a few individuals who ignore ethical guidelines cannot be applied to everyone. We do not want to think that the Baltic States provide cheap labour for Western and Nordic countries. Instead we ensure quality and experience, and this struggle means that we want to prove that partnership means a sense of support and pursuit of common goals, not cunning schemes that are meant to cheat others." AS BMGS earned revenues of EUR 56.71 mln in 2015, EUR 33.18 mlin 2016, EUR 50.07 million in 2017, and a forecast sum of more than EUR 87 mln in 2018. BMGS has had a presence in the Swedish market since 2010, delivering concrete building elements from factories in Ventspils and Riga and then assembling them. The Swedish market represents 18-20% of BMGS revenues.